Peru is home to some of the most authentic, well-preserved structures in the world.Once you arrive at the top of Machu Picchu, don’t despair if all you see is white. Soon the fog will clear revealing the iconic topiary from a bird’s eye view. It’s cinematic, really – totally surreal. See how the structure’s walls and windows were built at the perfect angle to allow the sun to shine through during the solstice. 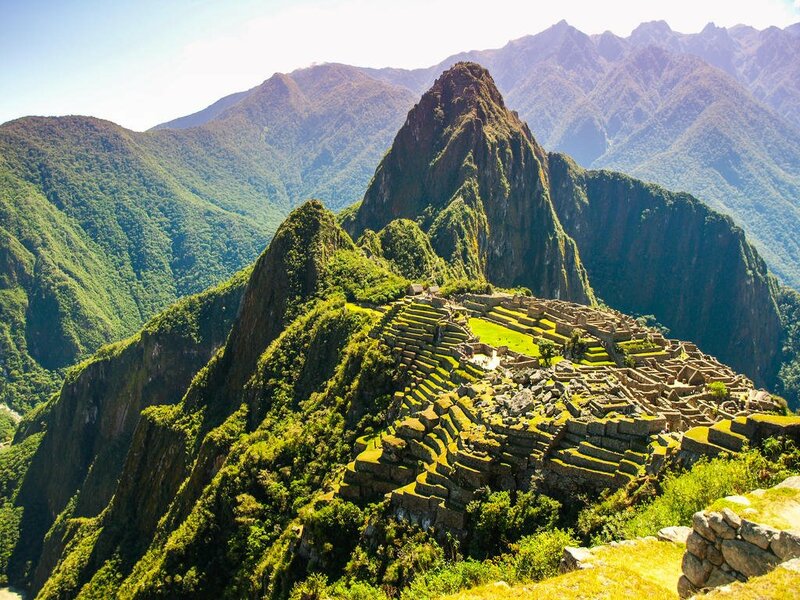 Learn about Machu Picchu’s history and how it’s existence today is ultimately the result of perfect timing.In the Sacred Valley, you can enjoy lunch at Sol y Luna, then hop on horseback and venture through the mountains. Or if you prefer to sightsee on foot, you can hike through Ollantaytambo, the best surviving example of Inca town planning. 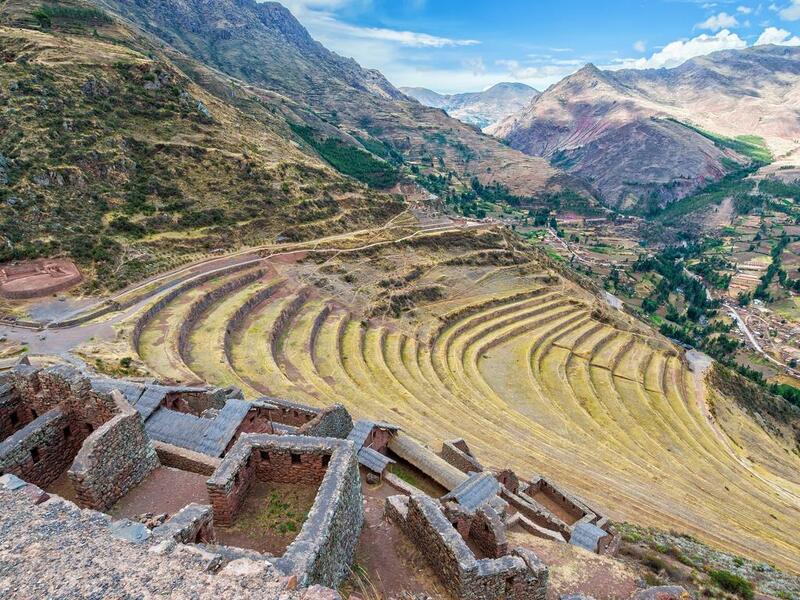 The majority of the Incan-built structure is still intact! 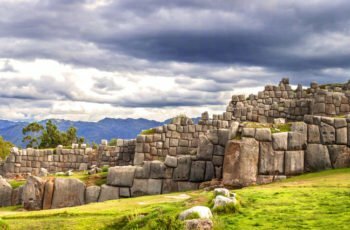 Climb the steep stone steps up to the imposing fortress at the top of the mountain – around 260 steps – and admire the huge monoliths that form the Temple of the Sun.Visit Cusco, a city adamant about its authenticity and preservation. In fact, if you wander down to the basement of Cusco’s JW Marriot, you’ll see Incan ruins encased in glass walls. 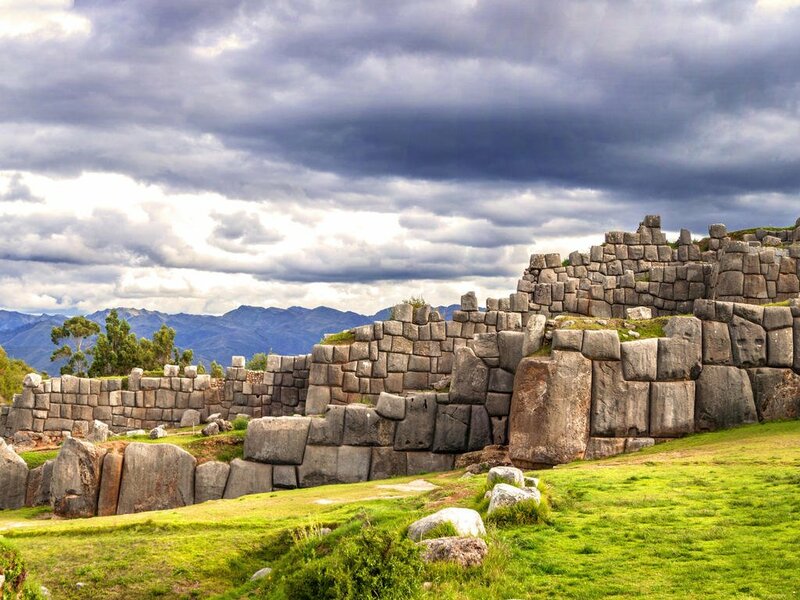 In Cusco’s historical center, see the Temple of the Sun at Koricancha, one of the Inca’s most important temples. In the main square’s Plaza de Armas, you’ll discover the Cusco Cathedral and the Iglesia de La Compañía de Jesus. See renowned art, including Pintura Senor de los Temblores, the oldest surviving painting in Cusco.Visit Lima, a shopping mecca that happens to be Peru’s capital city. Though this city is more modern than the rest, it’s still home to many historical buildings and intricate cathedrals. Located more than 6000 feet above sea level in Peru’s mountain peaks, Machu Picchu is one of the world’s most impressive archaeological sites. The city was abandoned by the Inca Empire, reclaimed by the jungle and lost to humanity until its rediscovery in 1911. Cusco blends colonial Spanish charm with older remains of pre-Columbian glory – you’ll still see the foundations of Inca structures on many of its city streets today. In 16th century, the Spaniards conquered Cusco and built Baroque churches and palaces over the ruins of the Incan city. Electricity in Peru is 220 Volts and 60 Hertz (cycles per second). If you want to use a 110-volt appliance in Peru, you’ll need to buy a voltage converter. Many of Peru’s top-end hotels have outlets for 110-volt appliances. They should be clearly labeled as such, but always check if you’re unsure. If your appliance has a different plug attachment, you’ll need to buy an adapter. Universal plug adapters are inexpensive and easy to carry around. It’s a good idea to buy one before you go to Peru (most major airports have a store selling plug adapters). Peru’s currency is the Nuevo Sol (S/.). Like most others, it is based on the decimal system (100 céntimos = 1 Nuevo Sol). Coins include 10, 20, and 50 céntimos, as well as 1, 2 and 5 Nuevos Soles. There are bills for 10, 20, 50, 100 and 200 Nuevos Soles. Note: US Dollars are also in use and accepted for payment, particularly in tourist areas. While effectively interchangeable, it is best to use local currency wherever possible, and it is always good for tourists to have some local currency in small denominations, to pay for buses, taxis and goods in some small establishments. There are no restrictions on the import or export of local or foreign currency, but amounts exceeding US$10,000 must be declared. Banking hours: Mon-Fri 9:00am-6:00pm, Sat 9:00am-1:00pm (may vary during the summer). All major credit cards are accepted, but usage may be limited outside of Lima and tourist areas. Visa and MasterCard are the most commonly accepted. It is also sensible to carry some cash rather than relying only on cards. ATMs are now generally regarded as one of the best ways to obtain money in Peru. They are found almost everywhere, including in small towns, although when travelling in remote places it is best to have some cash just in case the nearby ATMs are not working or have run out of money. In bigger cities, use ATMs inside banks for greater security, especially at night. Banks will exchange traveller’s checks although it can be a slow process outside Lima. The ability to use traveller's checks is also quite limited in some areas so you should check whether or not they will be accepted in the area you are visiting prior to travel. The use of ATMs is generally preferable, but if you do decide to bring traveller's checks, the best currency to bring them in is US Dollars. Drink only bottled water, and take purification tablets in case bottled water is unavailable. Pasteurised milk is widely available, but if you are staying in mountain towns you will also find that unpasteurised milk is often sold in shops, served in plastic bags. Avoid dairy products that are likely to have been made from unboiled milk. Only eat well-cooked meat and fish. You will find that there is plenty of street food available in stores and at markets, and you should try to ensure that what you buy has been heated properly and not been left out. In particular, you will find lots of ceviche, a cold seafood dish made using raw fish, which is practically the national dish. It is heavily acidic, which must kill some bacteria; nevertheless be aware that unless the fish is very fresh the potential for food poisoning is high. Vegetables should be cooked and fruit peeled. 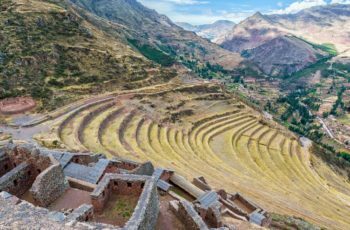 The weather in Peru varies according to area – the changes in altitude are so extreme that the climate goes from freezing snow in the mountains to boiling sun on the coast. Likewise, the coast covers such a large stretch of longitude that the temperature changes dramatically as you head further south. On the coast winter lasts from June to September. The weather tends to be overcast and slightly damp at this time, but rarely very cold. It hardly ever rains in Lima nor most of the coast, except for Tumbes and Piura, which have tropical climates. 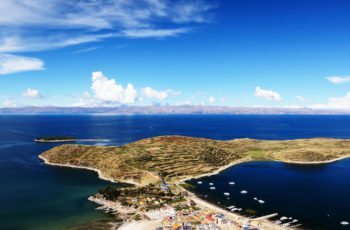 During June to September, the mountainous areas are often sunny during the day but cold at night. This is high tourist season and the best time to visit most regions. Rainy season in the Andes starts in September and peaks between January and March, and this is a dreadful and occasionally dangerous time to be hiking. Heavy rains in the mountains and jungle last from December to April. It is rainy and hot for most of the year, but between March and September there are occasional cold surges which might require a jumper. When travelling around Peru, you have to make a decision: time or money? The bus from Lima to Cusco can take over 24 hours instead of a flight of about 1 hour 30 minutes, but it will be a fraction of the price. If taking a shorter trip to Peru, flights will leave you a lot more time at your destination. You can book in advance from outside the country, or a few days in advance through local tour operators for little cost. 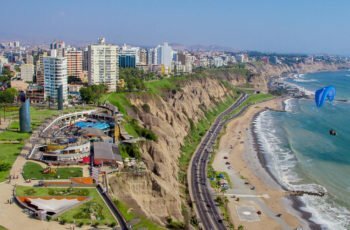 Some flights (of lower prices, and particularly with LAN) are for Peruvians only – if you purchase them be prepared to pay a fine. Domestic flight schedules are often subject to last minute change – try to confirm that your flight is leaving at the time stated on your ticket before you head to the airport. International car hire firms have offices in all the major cities and bigger airports. You must be at least 25 to hire a car in Peru, and will need to present your passport, drivers license from your country, credit card as a guarantee and sometimes a cash deposit. The minimum driving age is 18. The speed limit is 100kph (62mph) on the highways and 35kph (22mph) in urban areas. Main roads in Peru are, at least, reasonably paved; others can range from extraordinarily bumpy to impassable after landslides. Landslides are frequent in the mountains during the rainy season (December to March), making for slow travel and closed roads. Take care driving on the mountain roads, which are narrow, windy and above all high up. The well-maintained Pan-American Highway runs down the length of Peru's coast, with intersecting highways running east into the mountains. Many unlicensed taxi companies operate in Peru and visitors are advised to avoid these. They usually have a red and white taxi sign on the windscreen. Licensed yellow taxis are the only cabs allowed in downtown Lima. Taxis do not have meters and you should agree fares before departure (they are relatively inexpensive).Taxi fares increase by 35 to 50% after midnight and on holidays. Drivers do not expect tips. Taking the bus is the travel method of choice in Peru; buses go in almost every direction. Wherever possible, try to avoid using bus travel late at night. 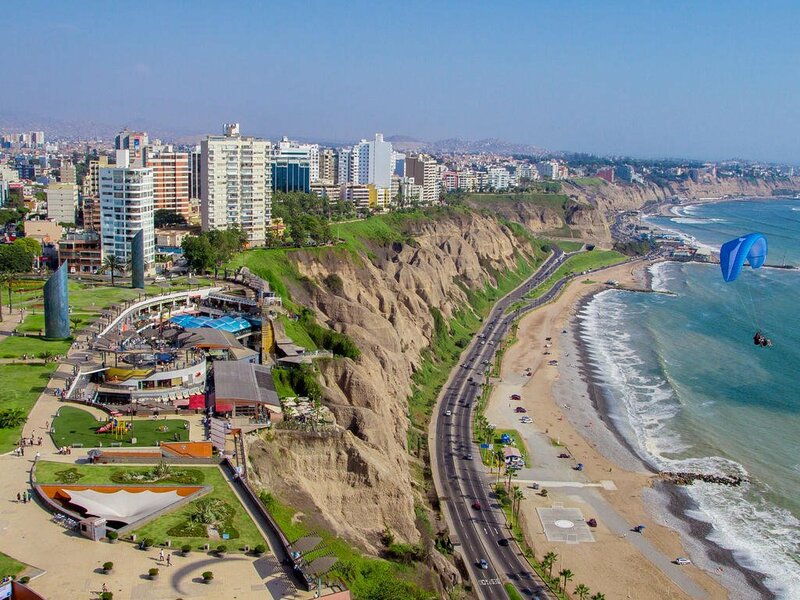 Lima has a clean, efficient metro system which links nine districts, and allows travel between Miraflores and Lima centre. For travel in Peru, a variety of clothes are necessary. You will need very lightweight clothes for summer on the coast, and thermals, hats, gloves and ski jackets for winter up in the mountains. 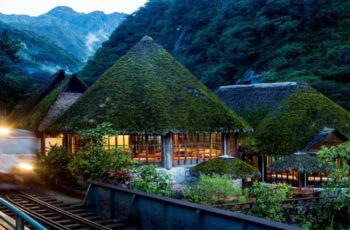 It can become freezing at night at altitude and remain hot and sticky through the nights in the jungle. Waterproof clothing is thoroughly recommended for the rainy season, because the heavens open very suddenly, and then it pours. If you are travelling to the jungle you’ll need something protective and waterproof for your feet. For any mountain hiking you’ll need proper, supportive boots. If you’re spending time along the coast you’ll need sandals or flip-flops. Yellow Fever- Yellow fever is a risk in certain parts of Peru, so CDC recommends the yellow fever vaccine for travelers 9 months of age or older to these areas. For more information on this recommendation, see yellow fever recommendations and requirements for Peru.Your doctor can help you decide if this vaccine is right for you based on your travel plans. • Yellow Fever- Yellow fever is a risk in certain parts of Peru, the vaccination is recommended for travelers 9 months of age or older to these areas. The most common ailments for travelers to Peru is altitude sickness. Altitude sickness can strike even the fittest, healthiest traveler. 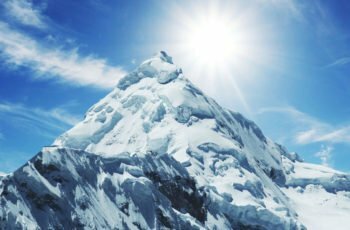 As soon as you pass the 8,000 feet mark, you are at risk from acute mountain sickness (AMS), the mildest and most common form of the condition. More severe forms also exist: high altitude pulmonary oedema (HAPE) and high altitude cerebral oedema (HACE). Both can occur near 8,000 feet, but are more common at heights of about 12,000 feet (3,600m) and over. 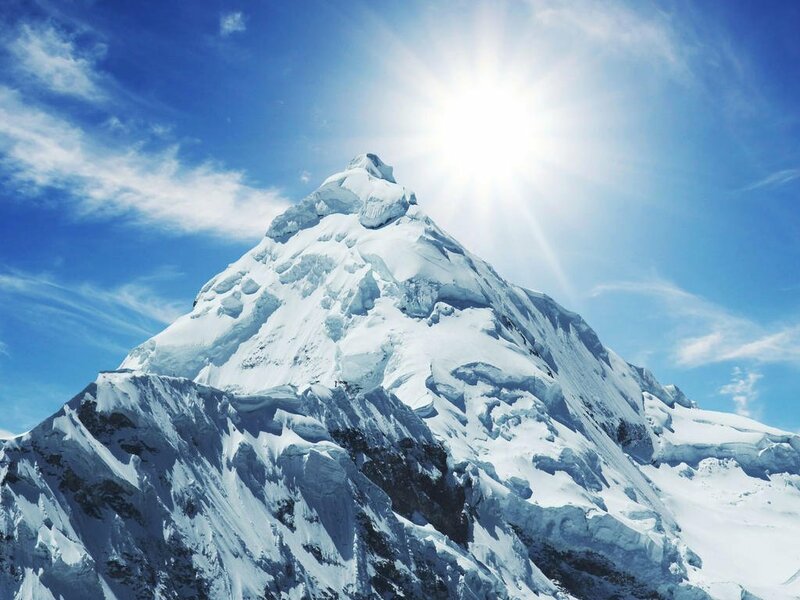 The www.altitude.org website describes the symptoms as “very similar to a really bad hangover.” The two more severe forms of altitude sickness, HAPE and HACE, show similar, albeit heightened, symptoms, sometimes with additional symptoms such as a severe cough, blue lips or irrational behavior. • A slow ascent is always the best option. Whenever possible, give your body time to adjust to the altitude. Proper acclimatization is the best defense against altitude sickness. • Take it easy for the first 24 hours at altitude — don’t overexert yourself and don’t go any higher. This is particularly important if you are flying. • Avoid alcohol, tobacco and sleeping pills. Keep yourself hydrated by drinking plenty of water. • Eat high-carbohydrate foods (such as pasta, potatoes and bread). 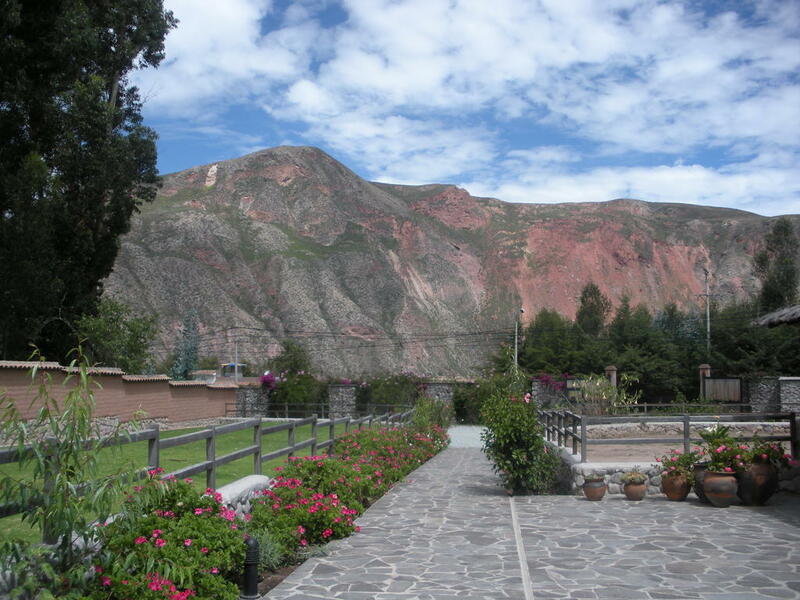 • Drink coca tea or chew coca leaves upon arrival at altitude and during your stay. While largely unproven scientifically, the locals swear by it. Be aware that coca leaves, while legal in Peru, can make a drug test prove positive for cocaine. • Medication is also an option. Acetazolamide (diamox) is the most common type of “soroche pill.” Further options exist, but they are no substitute for proper acclimatization. Always consult your doctor before taking altitude sickness medication. 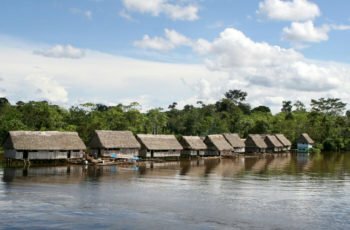 Altitude sickness won’t be an issue in towns and cities located along the coast and in the lowland jungle regions of Peru. 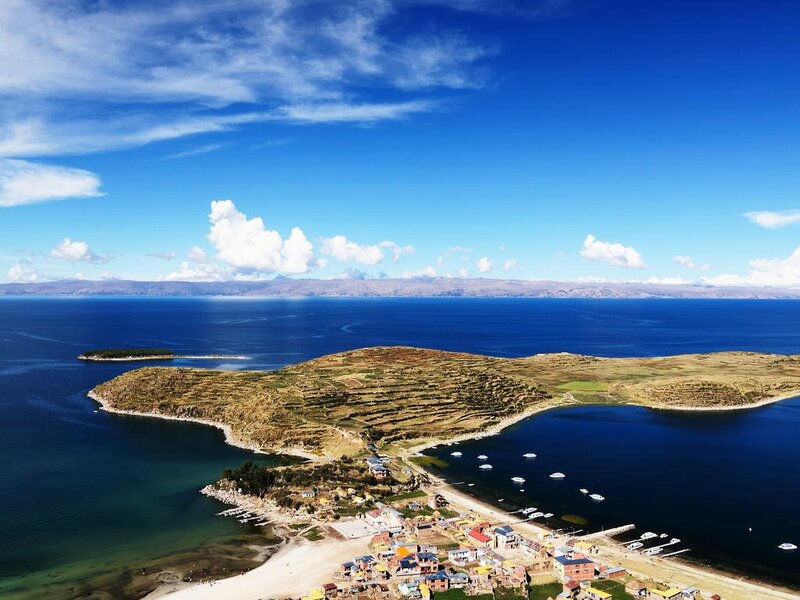 In the highlands, however, you can soon find yourself at heights of 8,000 feet (2,500m) and above — the point at which altitude sickness can occur. Peru is safe in general. We recommend normal precautions be taken as you would for any city in the world. Be aware of your surroundings and stay in well-lit areas. Don’t flash wealth. If you have items of sentimental value, leave it at home. Visitors should avoid all political gatherings and demonstrations. Spanish is the official language, although various dialects of Quechua and Aymara are widely spoken in the Andes. 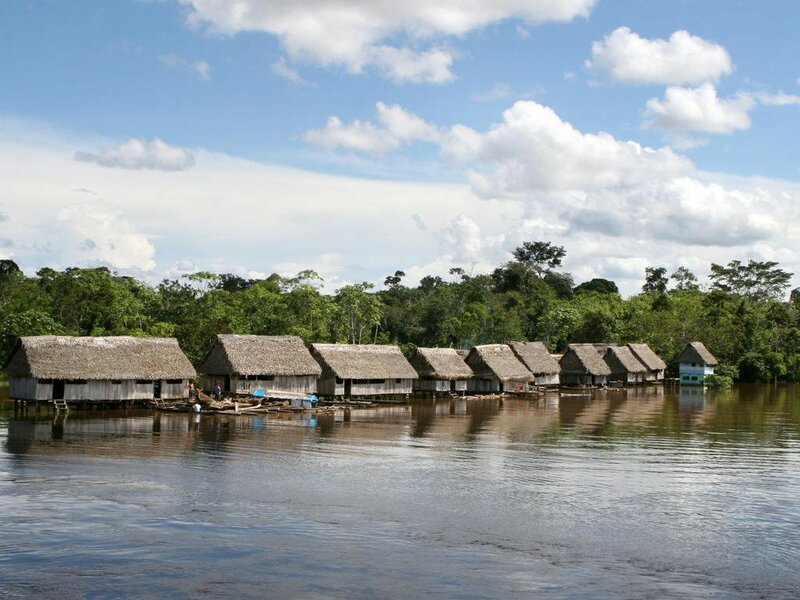 There also 50 different indigenous languages in the Amazon region of Peru. Peru is as USA Eastern Time Zone except between April and October when Peru is 1 hour behind USA Eastern Time Zone. Gratuities are left to your discretion and always appreciated. It is our recommendation that the quality of service should determine the extent of any gratuity. We are pleased to provide you with the following guidelines. Please feel free to offer more if you receive superlative service. For private tours, guides and drivers should be tipped separately and individually. US$ cash is accepted for gratuities as is local currency. When providing payment in US$ cash, please do not give dirty, torn or tattered bills or coins. • Private Tour Guides: US$10 per person for tour of 5 hours less in duration, US$15 per person for a tour of more than 5 hours. If the guide is accompanying you for several days, we recommend you tip when his/her services have ended. • Drivers on Guided Tours: US$5 per person for tour of 5 hours less in duration, US$10 per person for a tour of more than 5 hours. If the driver is accompanying you for several days, we recommend you tip when his/her services have ended. If the driver is also guiding, refer to guide gratuity recommendations above. • Tour Guides and Drivers on Shared Tours: US$10 per person to be distributed amongst guides and drivers and any other personnel involved with operating the tour. • Airport transfer drivers and Airport transfer representative: US$7 per person per transfer as long as transfer is between airport and hotels located within the city of arrival or departure. 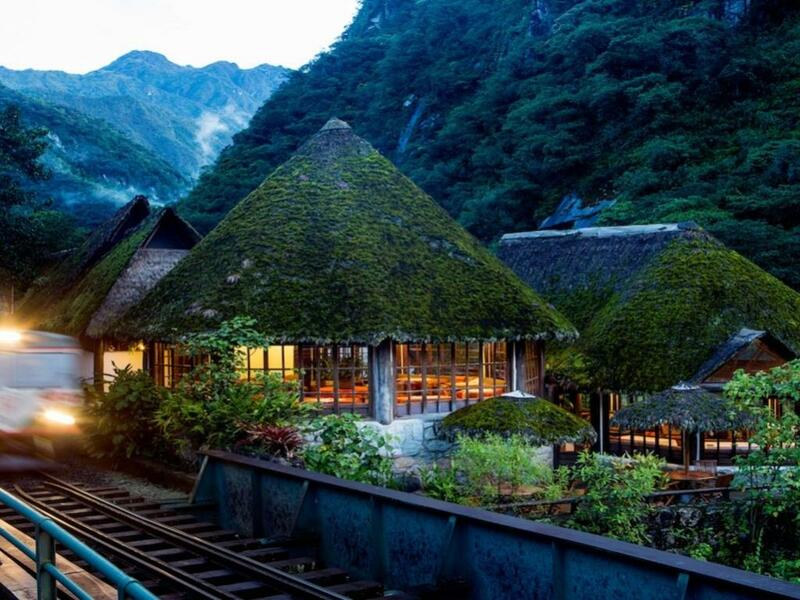 When transfers are to a destination outside of the city, we suggest US$10 per person. The gratuities will be shared between the representative and driver.